MLS Commish Don Garber was in Toronto this week talking up Toronto FC and discussing a number of areas of concern for fans. Garber was defending the decision to go with a next generation artificial surface, like the FieldTurf at PAETEC Park, saying that without it the stadium wouldn't work in Toronto given the weather and the fact that they want to make the venue usable year round with a winter bubble. Obviously natural grass wouldn't be viable in the middle of winter in Toronto. Garber also talked about how MLS will tweak it's foreigner rules for Toronto FC. US-based MLS teams can only sign up to 4 senior international players. 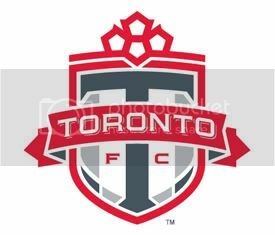 However, Toronto FC will be allowed to sign as many Canadian players as they want, the normal 4 senior international players, and then an additional 3 American players. Toronto FC also seem to be putting together an interesting staff with a mix of people that have experience both in the soccer world and within Maple Leaf Sports & Entertainment. It will be very interesting to see how this mix works for them. Is this Freddy Adu's last hurrah as a member of DC United? Will Freddy go to Reading on a six month loan and return to DC United after the 2007 MLS regular season is under way? Or, will MLS sell Freddy to a superclub ala Chelsea this offseason? It will be very interesting to see how this all works out. While players like Clint Dempsey and Eddie Johnson will be hoping that MLS finally sells their rights to a European club once the transfer window opens again in January, the Freddy Adu situation will be watched very closely as well. Personally, I don't see the point of Adu moving to a club like Chelsea at this point in his career. The last thing Adu needs is to go back to riding the pine, even if it is with one of the best clubs in the world. The Reading move would make sense if Freddy would get playing time. Adu would have his transition to Europe helped immensely with Bobby Convey, himself a former DC United prodigy that broke into MLS prior to graduating from high school, along with Marcus Hahnemann being there to help guide him along. There will be plenty of time down the road for Adu to play for the Chelseas and Manchester Uniteds of the world. What Adu needs now is to make a step that he can handle and not overreach. It's becoming repetitive, but apparently too many youth coaches and parents refuse to listen to some people that might know a thing or two about how to develop soccer talent. Once again, it's stressed that kids growing up need to worry less about winning and playing systems and spend more time with the ball at their feet, taking on players, and learning from their mistakes. Hey, if being a ball hog helped make Mia Hamm the best women's player in the world, who can argue with that?